At the age of 11, Wenceslaus lost his faith. He was arrested in April 1846 and sent to prison. In a prison cell, Wenceslaus experienced a spiritual upheaval. 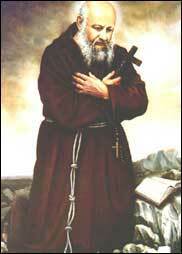 His faith was renewed and after eleven months of imprisonment, he was freed and in 1848 he entered the Capuchin Order, taking the name Honoratus. After professing vows and finishing his philosophical and theological studies, he was ordained a priest. As a priest, he began an enthusiastic and zealous apostolic activity in Warsaw. He was an indefatigable confessor and preacher. In his pastoral work he strongly promoted the Third Order of St. Francis, a group of lay men and women following the way of St. Francis. Lord, God, help us to imitate Blessed Honorat in his virtues and to practice charity on earth with word and deed. We ask this our Lord Jesus Christ, your Son, who lives and reigns with you and the Holy Spirit, one God, for ever and ever.